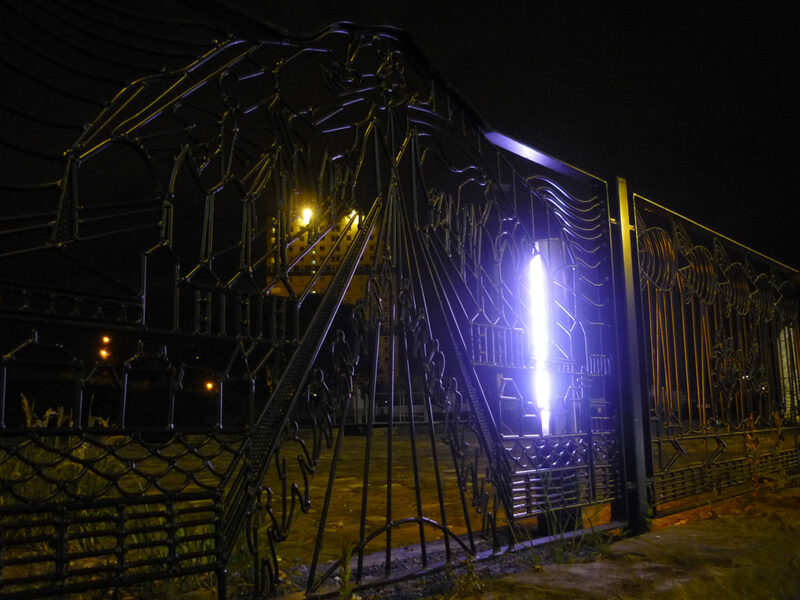 Collective Architecture was appointed by The Waterways Trust to develop a lighting strategy for Maryhill Locks as a catalyst and precursor to the physical regeneration of the wider Maryhill area. To identify key features and forgotten landmarks within the area, a series of community presentations and consultations were held with a cross section of the Maryhill community. 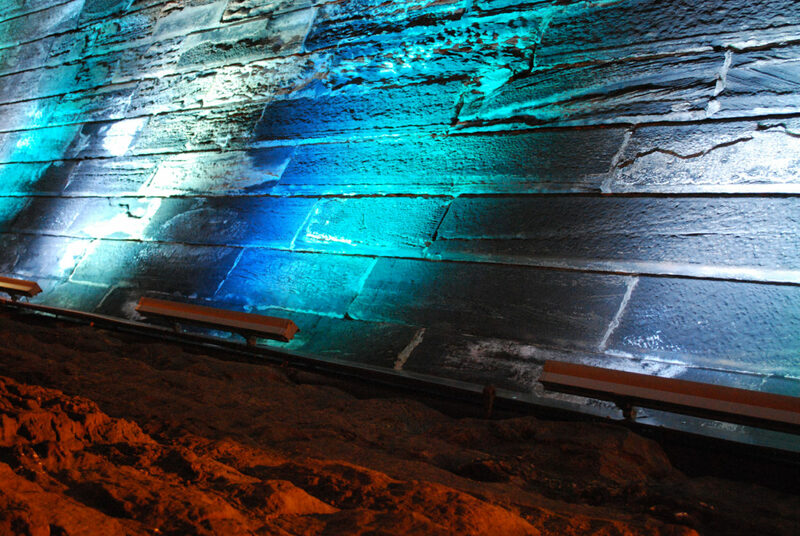 Speirs Wharf, The Whitehouse Bar, the Canal Locks and the Maryhill Road Aqueduct were identified as elements that are of a local importance and that could be lit to generate a positive contribution to the area. At Speirs Wharf, hard up against the canal but hidden from it by the difference in levels, the retaining wall offers a chance to 'advertise' the canal's proximity and prescence. 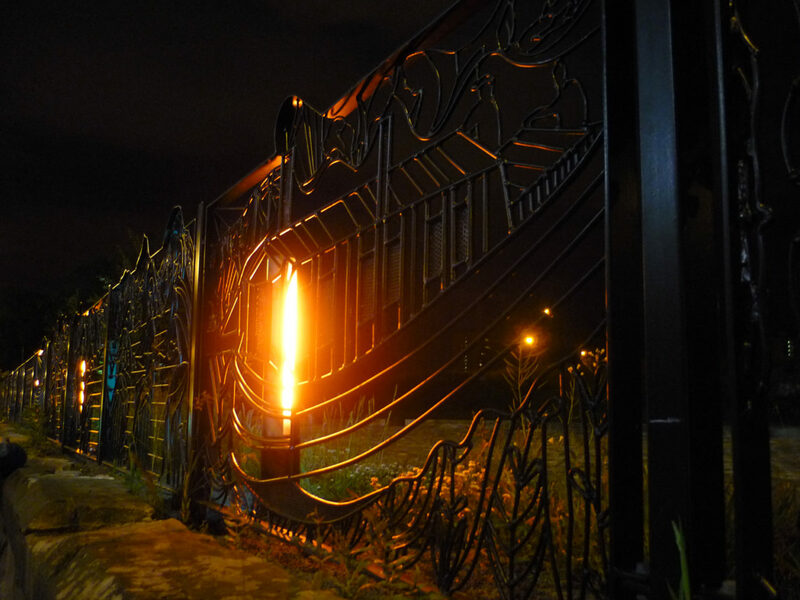 The existing water feature achieves this by day but the proposed lighting draws attention to this even more effectively at night. 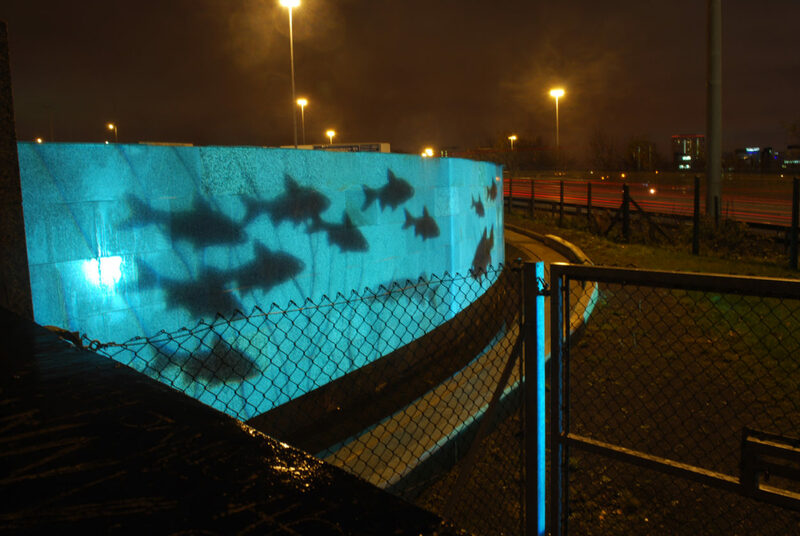 Simple bold projections of fish provide a quickly understood image for speeding motorists but have enough detail to warrant closer viewing if unlucky enough to be stuck in traffic. 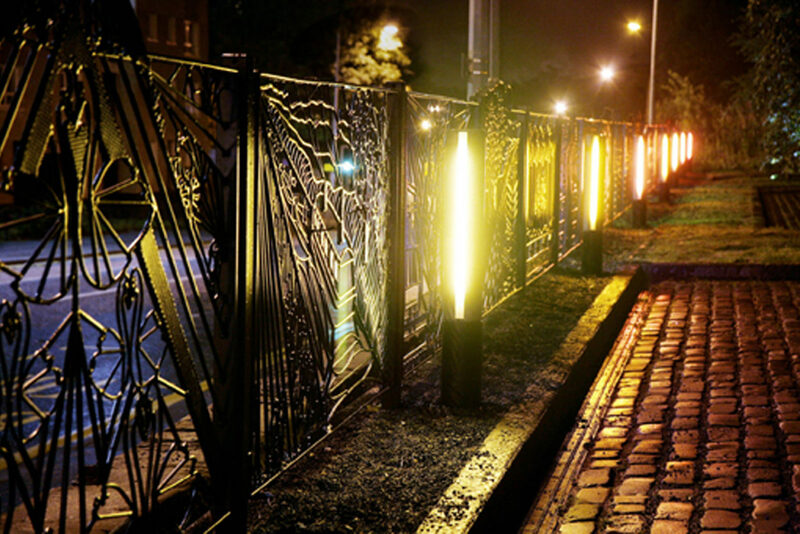 Lighting the Maryhill Road Aqueduct provides the area with a recognisable gateway. 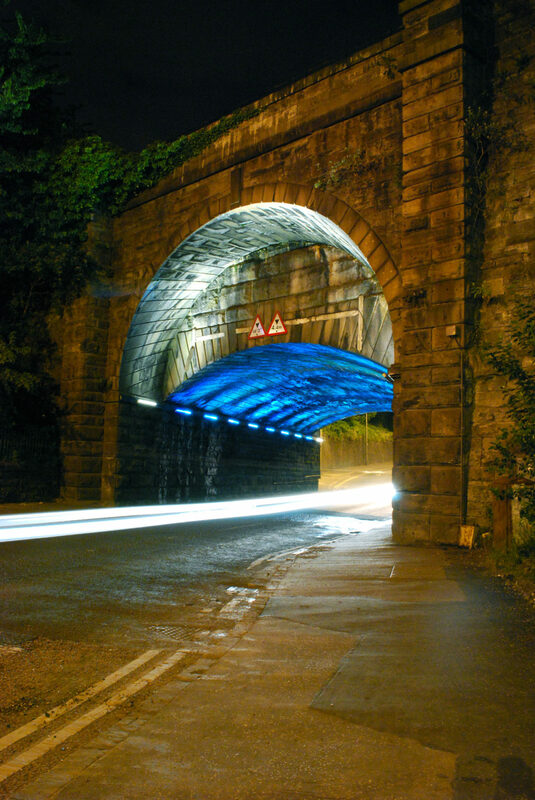 A carefully selected range of blue and green filtered lights have been installed to the underside of the aqueducts smaller arch to simulate and make passers by aware of the water passing overhead. White lighting to the underside of the large outside arches contrasts with the blue tones of the small arch, strengthening the sense of entry by highlighting the geometries of this impressive structure. Tree up-lighters have been used to help ‘frame the scene‘ on approach from Maryhill as well as to light the tops of trees which are visible from the canal path. 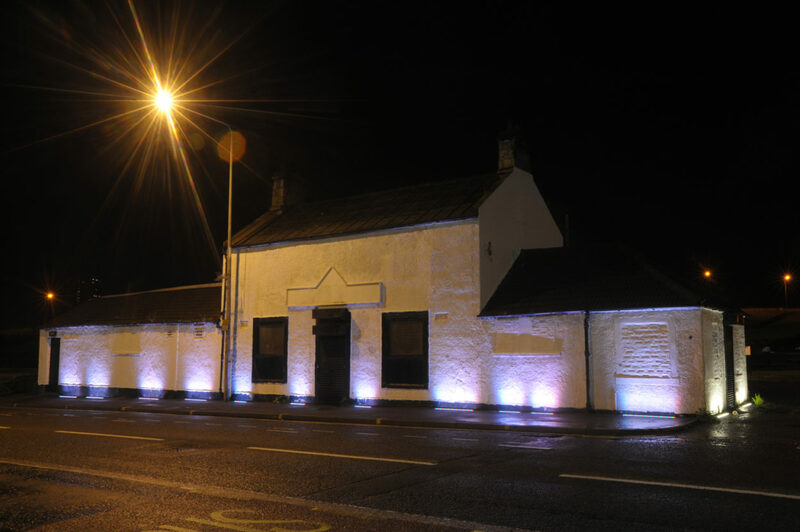 The Whitehouse Bar lighting strategy developed from a series of youth workshops. 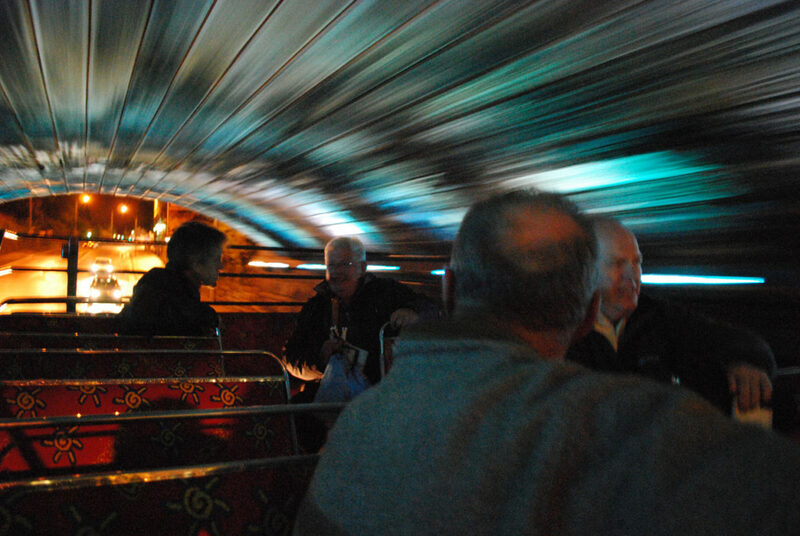 Local teenagers composed and performed a piece of music which reflected their experience of living by and growing up by the Forth and Clyde Canal. 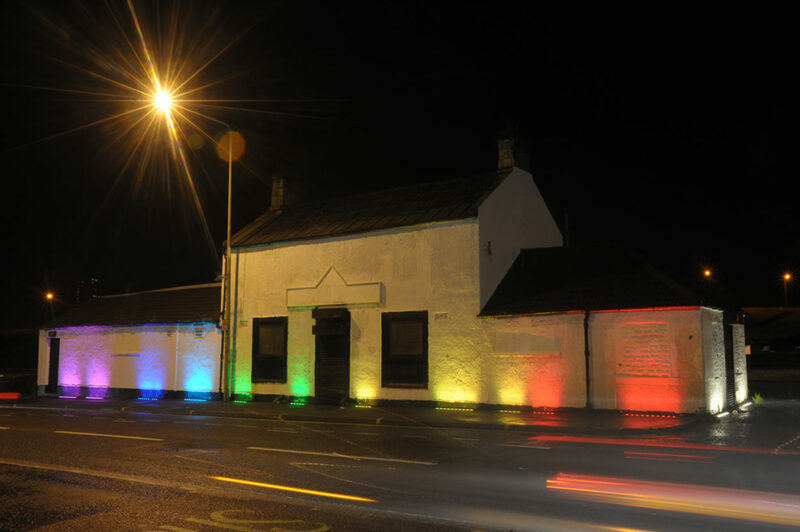 The piece of music is now displayed through the medium of light across the elevation of the Whitehouse Bar using colour changing LED’s, representative of a graphic equaliser display. 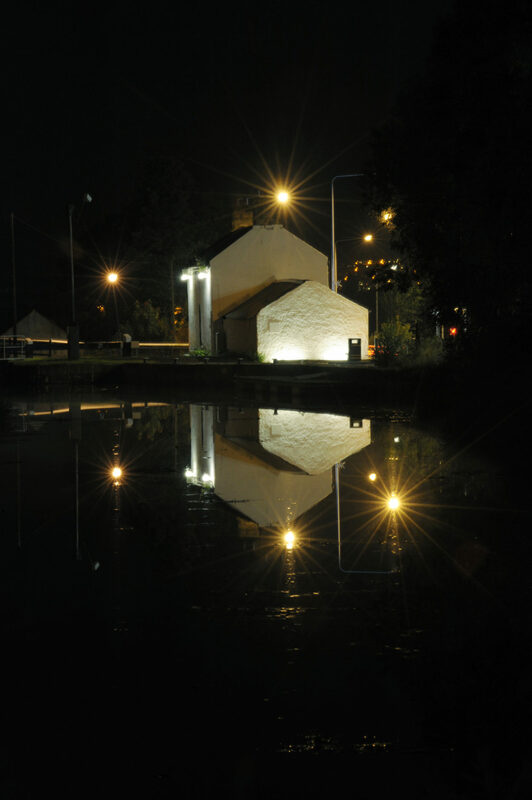 Light bollards have been installed to the newly landscaped area at the side of the canal locks to further enhance recent landscaping improvements. 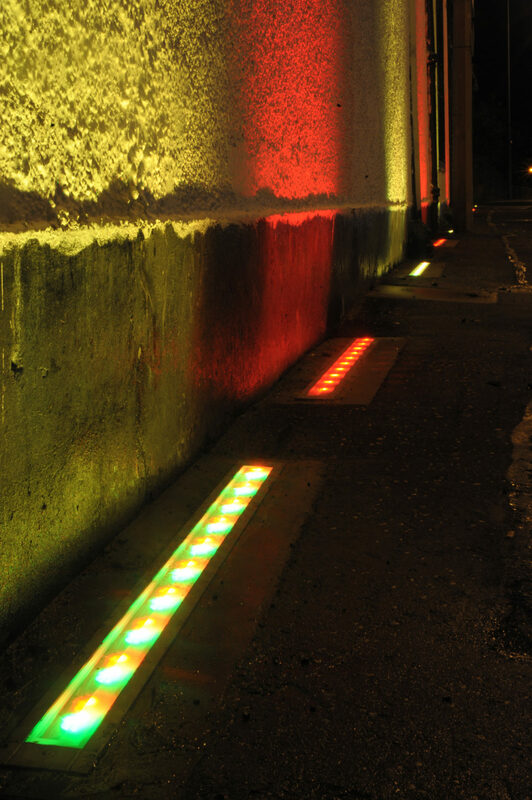 The light bollards have been designed to enhance the experience of canal users, road users, pedestrians and cyclists who may pass the site from either direction. 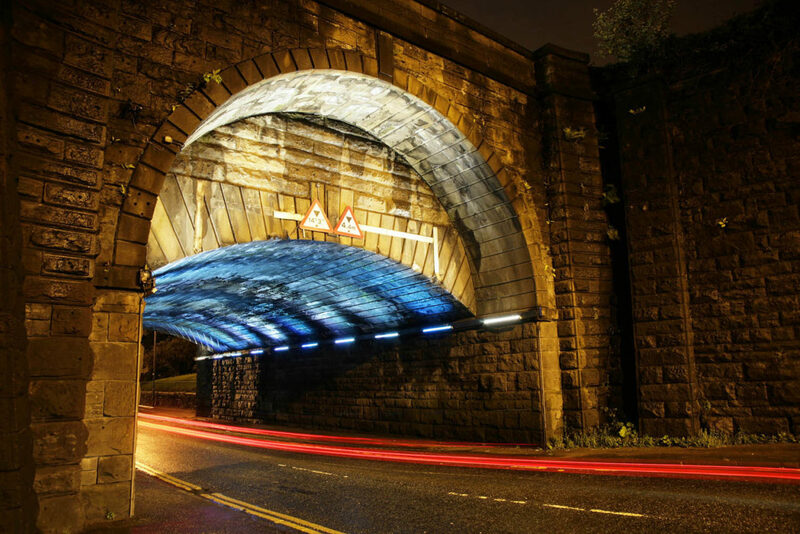 Red and orange tones create the rhythm of colour in the direction of Glasgow whilst colder tones of blue and green continue the theme of the aqueduct when traveling out of Maryhill.